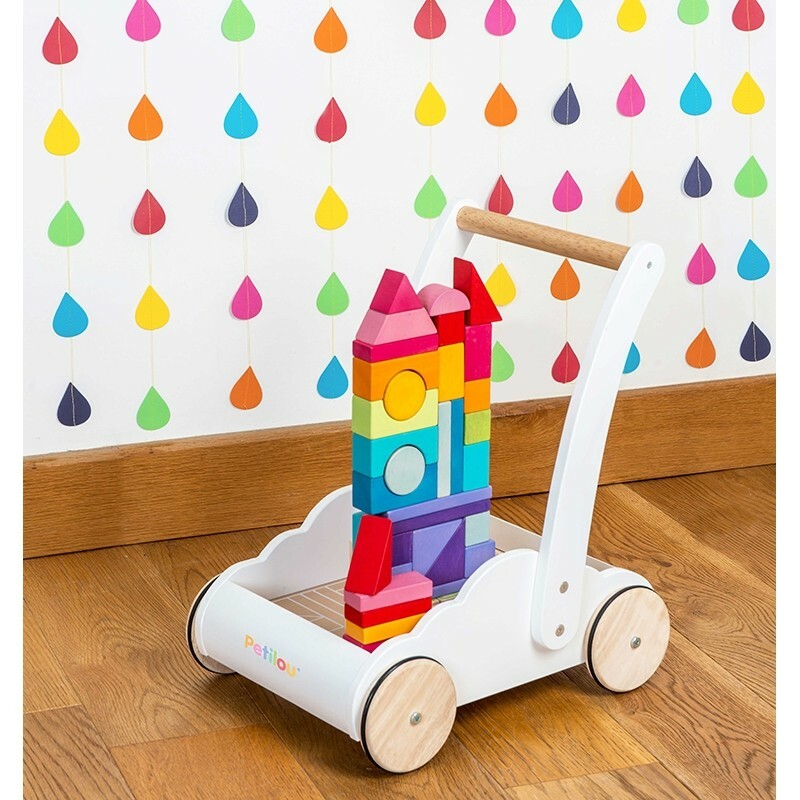 A unique baby walker in a soft cloud shape with 45 rubber wood blocks painted in delightful water stained rainbow colours. 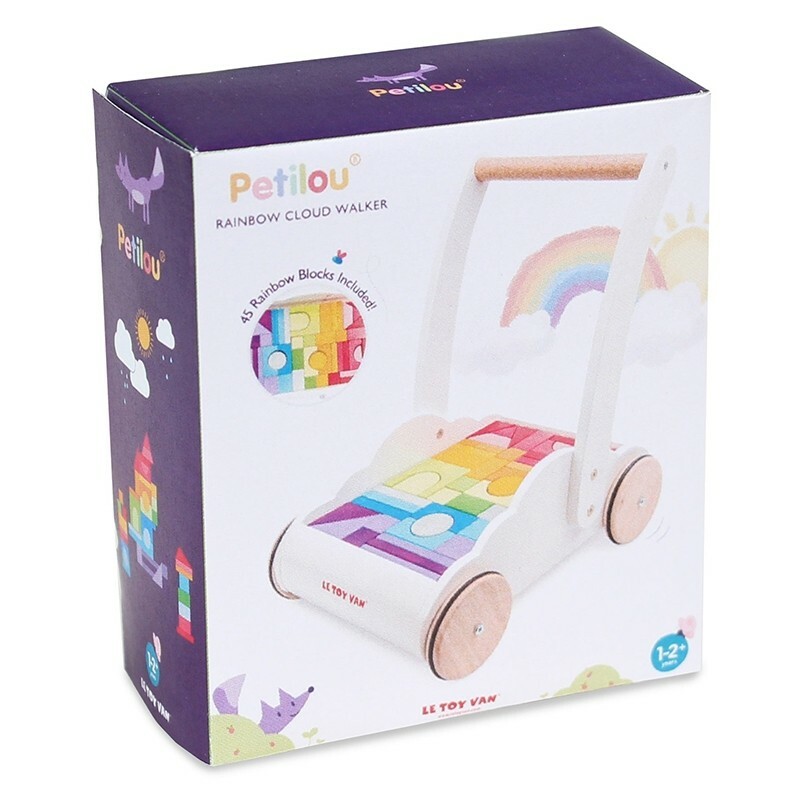 The Rainbow Cloud Walker encourages new walkers to stay on their feet. 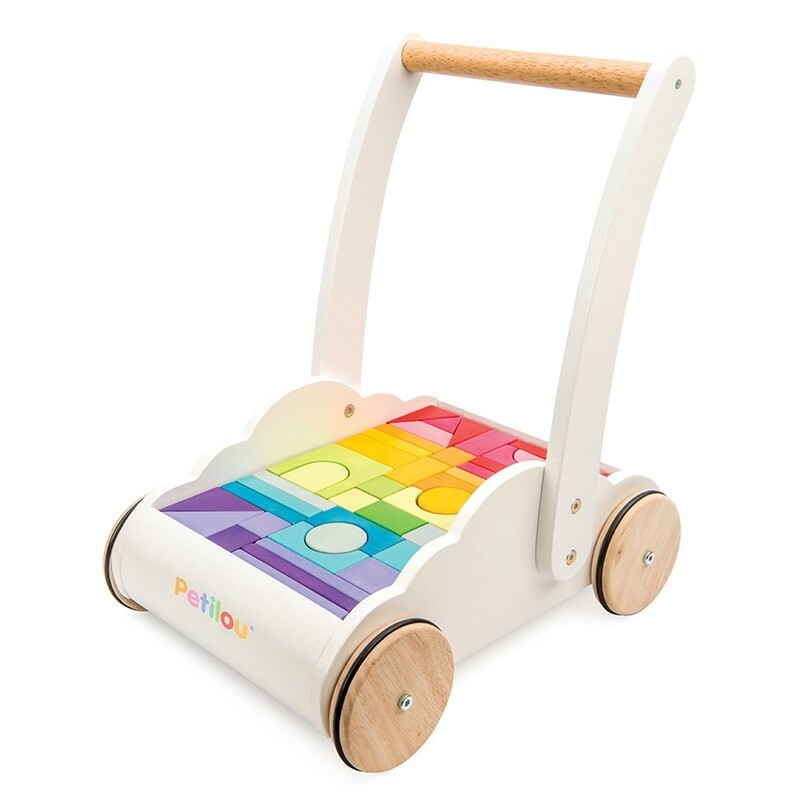 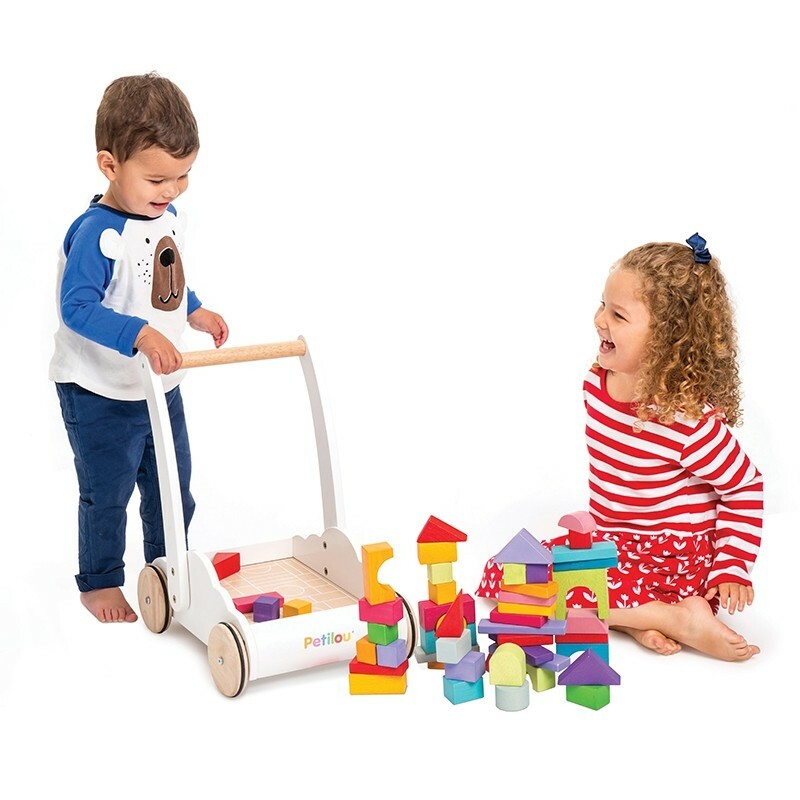 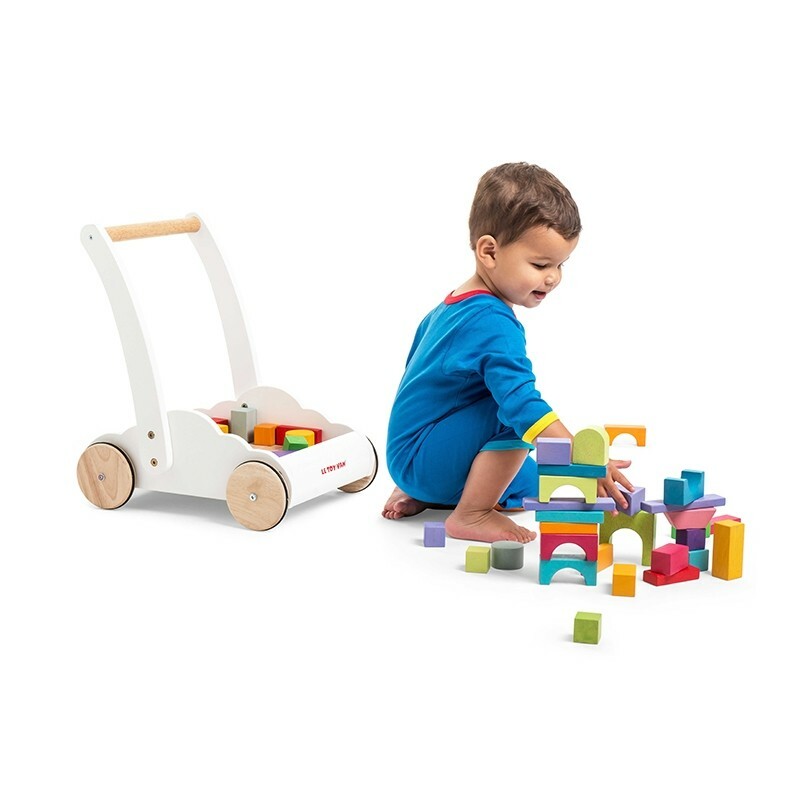 The sturdy wooden construction offers support to develop their confidence, help with balance and stability as little ones learn to walk. 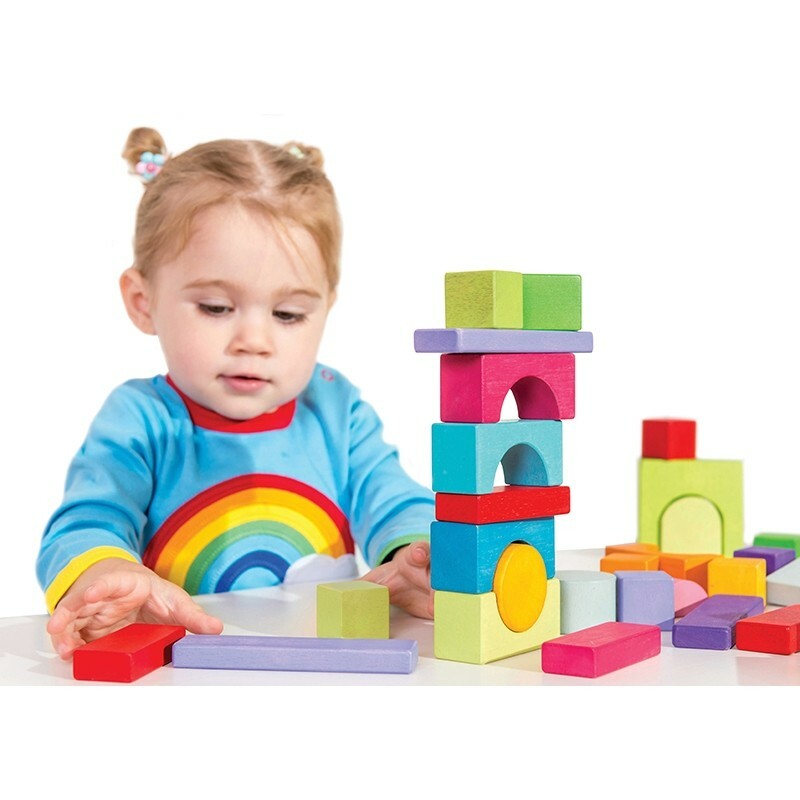 The traditional wooden rainbow blocks are a classic and fun way to stimulate psychological and fine motor skills. 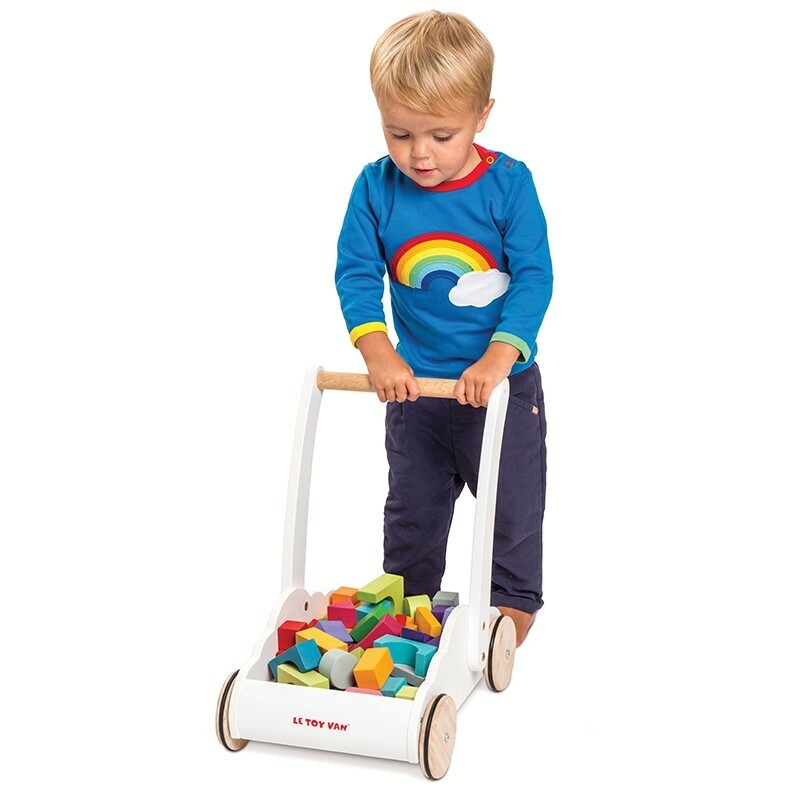 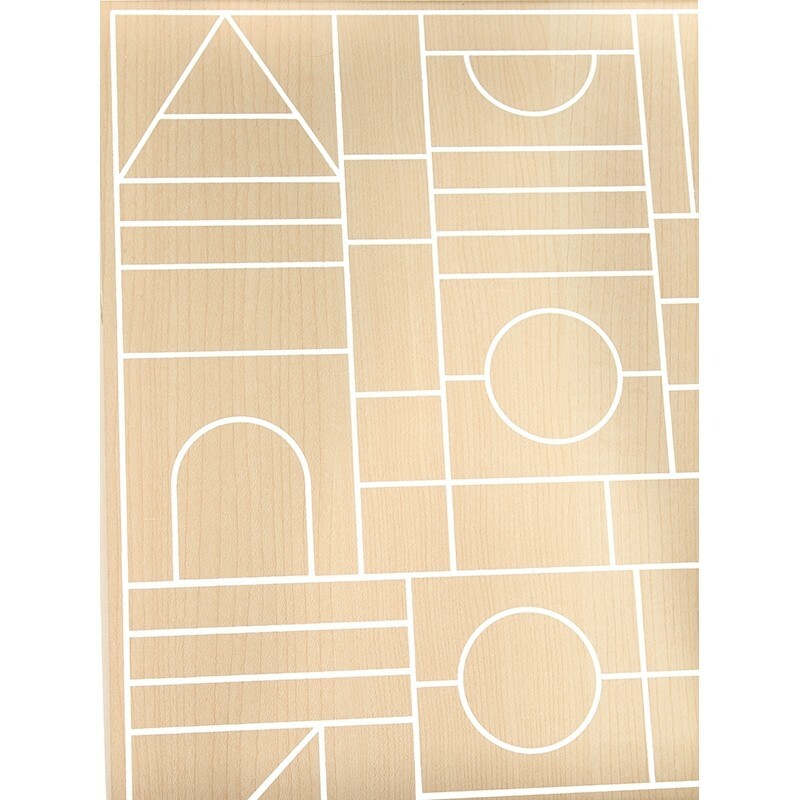 It encourages shape recognition, develops hand-eye coordination and imagination. 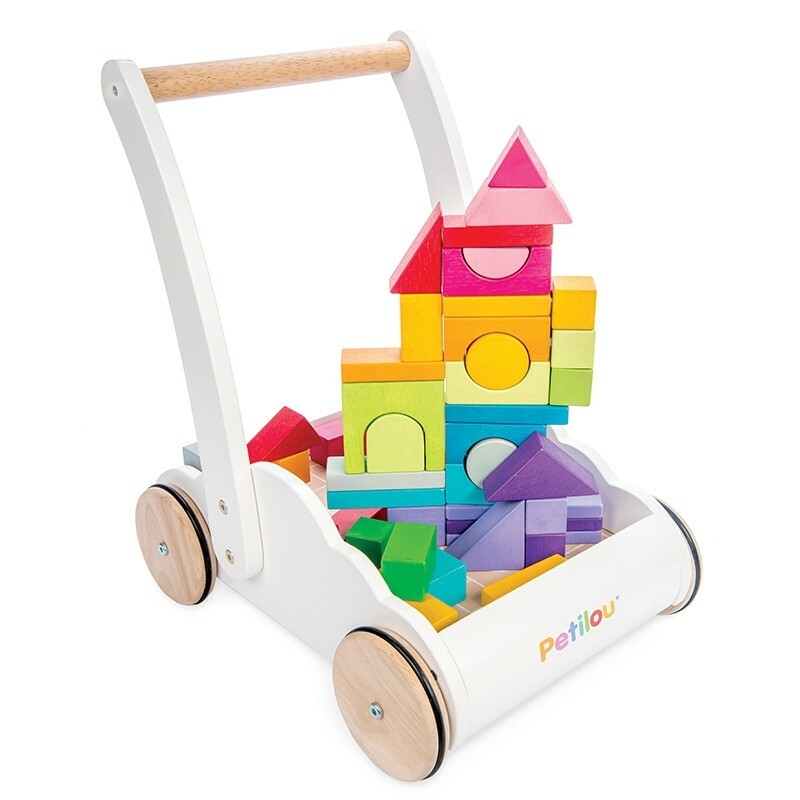 Part of the Petilou Collection by Le Toy Van.